You are going to love to send this basket as much as they are going to love to receive it. 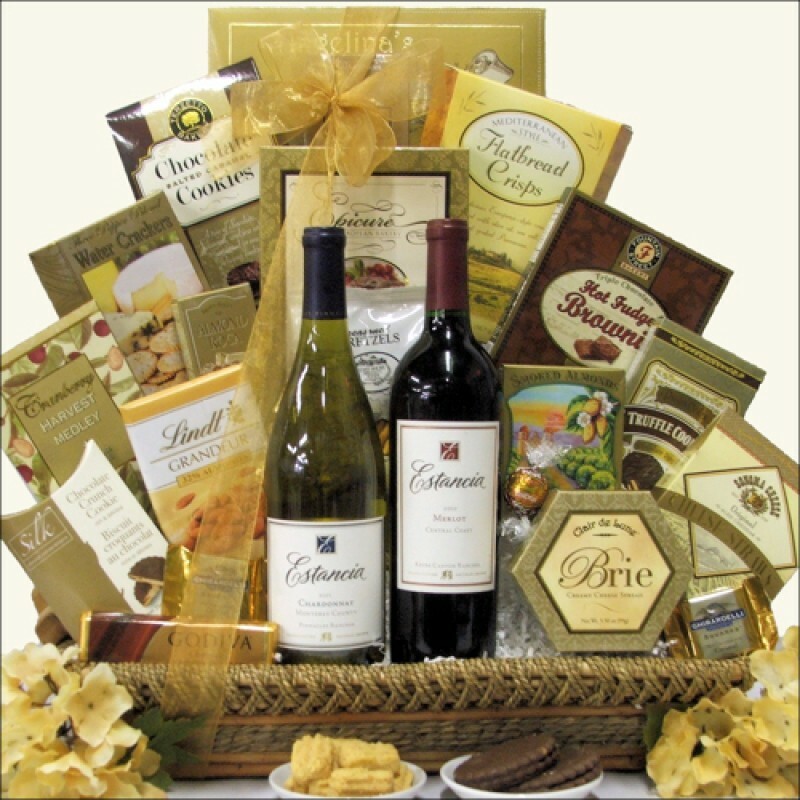 The Estancia Duet basket is beautifully arranged in a Rectangular Willow & Seagrass gift basket and features a bottle of Estancia Chardonnay Monterey County White Wine and an Estancia Merlot Central Coast Keyes Canyon Ranch Red Wine. These two bottles of wine accompany the tasty gourmet foods including Clair de Lune Brie Creamy Cheese Spread, Godiva Milk Chocolate Chocoiste Bar, Lindt Hazelnut Chocolate Truffle, Chocolate Crunch Cookie and more. A great gift for any occasion. ...in a Rectangular Willow & Seagrass Gift Basket with Handles.